This Time Clock Software is compatible with all Fingerprint, Face Recognition and Card Reader models manufactured by ZK Software / ZK Technology including U300/U300C/U300C-ID, US10C/US10C-ID, S900/S900-ID, US10CR, US10-MAG, US10-B, US100CR, US100/US100C/US100C-ID, US700, T4-C, X628-C, S300, S680, SC403, iFace 302, iFace800, uFace800, Multibio 700, U160, LA2000, LA200-MEC, F707, F7, F708, B1-C, K300. If you would like to suggest a feature, click here. The Midex software eliminates confrontations because it is foolproof and gives real time and cannot be tampered with. It also allows both the employees and employer peace of mind. Awesome! They are always improving and I feel as though they actually listen to their customers when implementing changes. Over the past year, Midex has completely changed how we run our time management and saved our company hours of labour and thousands of dollars in unnecessary wages! Time saving, improving in work efficiency. Midex has been a great upgrade for our business. 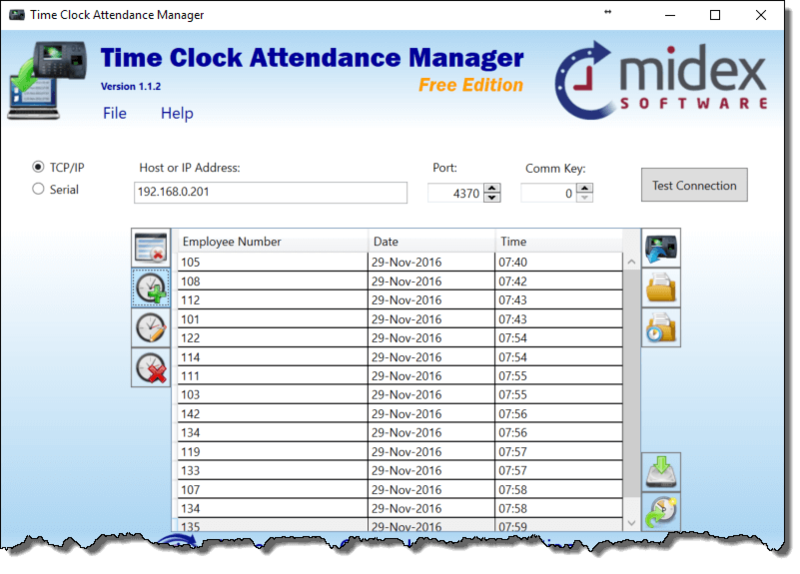 Midex cloud based time reporting software is just what we needed. In addition great Customer Service and after sales support!! !